Vestronics provides risk free data recovery from just about any digital storage device. 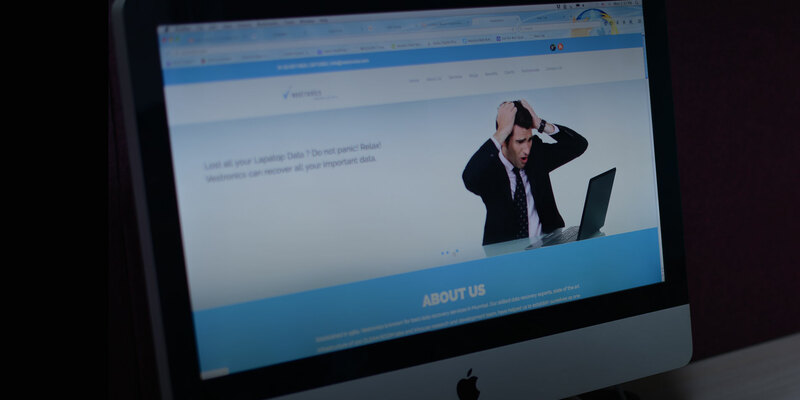 Vestronics was established in 1984, and is today best known for its data recovery services offered across Mumbai. It boasts of an enormous infrastructure of over a 100 clean room labs and various experienced in-house research teams. Vestronics had the required expertise, and had successfully won the trust of its customers over these years, but the hitch was its undying competition. With newer data recovery companies popping up every day, Vestronics needed to create a strong foothold in the market. They needed to revive themselves and not look like an age-old company; but rather be perceived as a trusted partner. We completely revamped their existing online presence with a content-rich, digitally enhanced responsive website. Our expertise in SEO is what played the trick. The precise selection of keywords that would best describe Vestronics, without bringing up most of its competitors – is what changed the game. The feather in its cap was a simple and impactful Google+ SEO campaign. Now positioned as the “Leaders in Data Recovery”, Vestronics has successfully created the much needed hype it well-deserved. Senseware Strategized Vestronic's Lead Generation Strategy by Created Blogs and Focused Heavily on In-Bound Content.